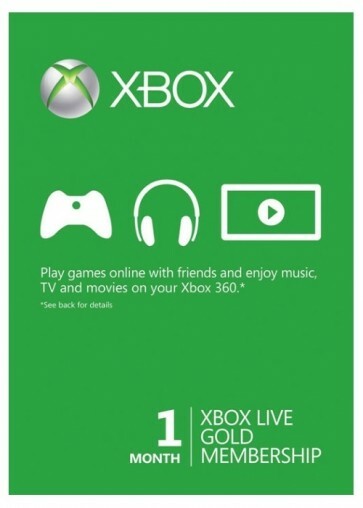 Xbox Live 1-Month GOLD Subscription Card for the Xbox Live platform (Xbox One/360) is a Digital Product Code - no CDs or manuals included. Email Delivery will be proceeded in 30 Minutes (Rare cases: up to 8 hours if order in night) after completed payment. Please check the correct spelling of your email address and have a look into your spam filter of your provider. Note! Xbox Live Card will extend your Xbox Live Gold subscription for ONE month. You may not be able to use this code if your subscription has 30 or less days left. We advise to wait until your subscription expires and then use the code.